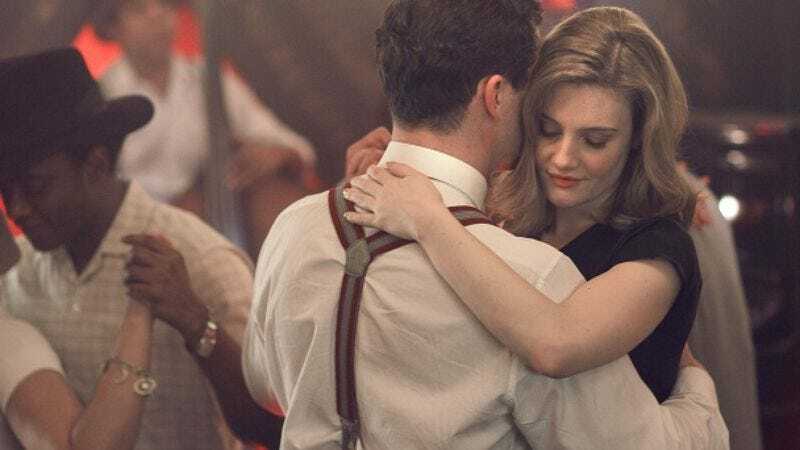 One thing I’ve always liked about Mad Men (and, yes, I know the aims of Mad Men and The Hour are completely different and blah, blah, blah) is that the politics of the era largely play out in the background. The characters are swept along by them, sure, and the show uses our own knowledge of what’s coming against us, letting us be cognizant when Martin Luther King, Jr.’s, famous speech plays on the radio that that will become one of the most important speeches in American history, even as Don Draper doesn’t seem to notice it. The characters don’t really make conscious choices to get swept up by the era, either. Peggy, for instance, is a woman breaking ground in the workplace, but it wasn’t a big crusade she embarked upon. She was simply really good, and her talent was recognized by other people. Other shows might have turned this into an object lesson on sexism in the workplace—and Mad Men has had plenty of commentary on that issue—but they would have done so much more overtly. The Hour is kind of trying to do this, but it’s not always succeeding. To a degree, that’s because the characters involved in the story are journalists who have to pay attention to the major news of the day. To a degree, that’s because the events depicted in the show—the Suez Crisis—are ones that aren’t as immediately familiar to American viewers as the “I Have A Dream” speech and the Kennedy assassination are. (Help me out here, British people: Are you steeped in the history of this period, or is this more for you like the Korean War is for us: Something most British people vaguely know existed but also something few people know a lot about?) And to a degree, that’s because the storytelling—with its spies and government intervention and whatnot—requires the characters to get more wrapped up in world events. I thought of this while watching one of the sequences where the show genuinely succeeded in this aim: the sequence where Bel and Hector have a rendezvous at her apartment (after he’d meant to spend the night with his wife) and Freddie and Lix hook up back at the office (suggesting, as always, that that’s where both of them are most at home). The characters, finally drunk enough to put the concerns of the world at arm’s length, ignore newspaper headlines about the British barrage of Egypt beginning and simply give in to their lust. For Freddie, who’s having the worst birthday imaginable (to the point where he seems more or less unaware of it when Bel wishes him a happy one earlier in the episode), it’s a chance to forget about the Ruth Elms mess. For Bel, it’s a chance to escape into a happy affair right before it tumbles downhill and becomes an unhappy one. (It’s easy to tell how she knows she’s in way over her head during that phone call with Marnie, how little she wants to hurt the poor woman.) For Hector, it’s an escape. For Lix, it’s a chance to feel like it’s the ‘40s again, and she’s just gotten done dancing. Where episode two of The Hour took us through a full week, from disastrous broadcast to good broadcast, this episode takes us through the course of a single day, Freddie’s birthday, and it captures all of the characters at a point in time right before things start to tilt out of their control. It nicely fills in Clarence, a character whose motives have mostly been inscrutable up until this point. (Now we know that he’s got the sort of loyalty to the government one might expect of a man in his position and from his upbringing, but there’s a breaking point, a point at which he must insist that his journalists be allowed to do their job.) And it gives us some of the best acting yet from Ben Whishaw and Romola Garai, both of whom get to run the full gamut of emotions. Whishaw’s work as nervous but determined Freddie should have gotten old by now, but he finds new ways to spin the portrayal every week. 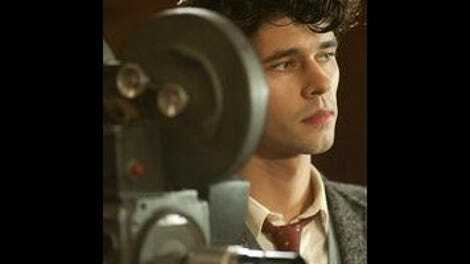 There’s a nice balance between Freddie’s sense of entitlement and his sense of resentment that Whishaw gets just right. He believes he’s entitled to the truth; a deep part of him fears that he’ll never get it because of who he is. He just hasn’t quite considered that maybe the truth is slippery and elusive, that people like him more than he realizes, that someone like Clarence will go out of his way to stick his neck out for the kid, even if he doesn’t seem particularly fond of him. Freddie’s best moments all come as he begins trying to figure out just who Kish was, going to visit his widow, then taking a trip out to visit the Elms estate, since he figures the lord and lady must be wrapped up in all of this somehow. The shabby, chilly Elms estate is the best evidence we’ve gotten yet of the way the British Empire is crumbling all around these characters, and the scene where he and Lady Elms look over the various height marks painted on the wall for the Elms children and Freddie himself is one of the best in the episode. The Elms family is slowly disintegrating, and it’s written all over the Lady’s face. These are some of the tensest scenes in the episode precisely because they’re among the quietest. But Garai finds plenty of opportunities to play the hell out of her character tonight, too. Bel’s been the most penned in by the storyline so far, as she’s not remarkably into Freddie’s investigation, and she’s been the object of seduction, not the seductress in the other major plotline. Indeed, for how powerful (and anachronistically so) Bel is, she’s sadly been best used as the connecting point of a love triangle, not as a living, breathing character. Here, though, she gets a chance to rage on her own behalf, when she finds out Clarence told the government she might be “easier to steer.” She gets a chance to let the happiest smile ever erupt on her face when Hector shows up (and Dominic West’s smile nearly matches hers). And she gets a chance to be just a little sad when Freddie and Bel talk about the perfect life they could have together—if only she could find it in herself to fall in love with him, something that seems more and more distant, even as his persona morphs more into one she could love. He’s always going to be Freddie to her, no matter how confident he appears on the dance floor. It’s for tiny character moments like this that I’m willing to forgive a lot on this show—like the fact that Isaac and Sissy are still pretty nothing characters or the fact that Marnie, much as I enjoy Oona Chaplin, is stuck pretty firmly in the role of “thankless wife”—and it’s for tiny character moments like this that I’m willing to go along with the spy oddities. (Though I’ll confess that I was relieved my prediction that Clarence would turn out to be the Soviet agent somehow was not what actually happened; he was merely getting rid of the evidence to protect his employee.) And it certainly helps that this episode—concerned with war as it was—had less spy stuff than the previous three (though I suspect it will pick up again next week, if the “next week on” is any indication). Yeah, the historical incursions on these people’s lives feel a little like the moments in every other historical drama where someone hears something on the radio and drops everything they’re doing, but there are also moments when everything a character is doing is too important to drop. And that’s when the show sings. So Adam’s been found out in a public restroom, and his show has been canceled, eh? I guess McCain got to him, ultimately. I must confess that I find McCain kind of a bore as a character. He’s just an all-purpose boogeyman, and the show hasn’t done much to make him anything but that. One of the perils of a short season, I suppose.